Why can’t you just get along with your brothers and sisters! As Christians, sometimes we act the same way as kids. We pick on each other. And not just anyone, but our brothers and sisters in the Lord. Why? Well, that’s easy. It’s because they are not like us! Don’t they know that we are right? That we have all the answers? That all truth has been revealed to us? “Why can’t everyone see that and be like me?” Hmmmm, Houston, we have a problem…..
Just because someone isn’t “part of our group” does not mean Jesus isn’t using them. If they are a believer then they are our brothers and sisters. Face it, we don’t ALL believe exactly the same. And we never will while living here on earth. 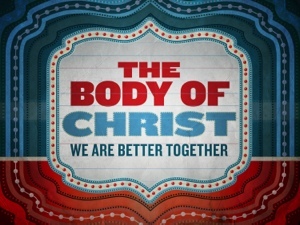 But……we are a body; the body of Christ. Different people, yet one body. Different parts, yet all connected. When we believe in Jesus, we are all one body. Then it’s up to Jesus to put each part where they belong. In God’s master painting we are the “dots” but HE is the One who connects the dots. This entry was posted in The E-quip Devotion and tagged devotion, e-quip, Kevin Kinchen, PastorKevin, thenetrev. Bookmark the permalink. And I have seen Him use a non-believer for His purpose even though they never knew it. Excellent word, Kevin! Sometimes it appears the body of Christ works harder at “discussing” their differences than working together with one mission and one purpose. Thanks for sharing that today! It is right on!!! Love to you and Margie! Too Funny – I love the holy spirit, he loves to repeat things in our lives to make sure we “get it” ! If you were able to watch the recent lecture in the Beth Moore series – she just talked a LOT about this! Here’s my response to the Lord regarding this matter. The next time I see you, remind me to tell you the funny story of me and joseph’s ride to church today and what happened when we got there. God is so wonderful, I can’t even describe the “welling up” in my belly about him and what he is going to do. Such anticipation is enough to make me burst. I don’t know, and can’t even describe it. It’s too odd to be anything other than GOD. I am going to do my best, with your help and guidance to discontinue judging another believers way of doing things. 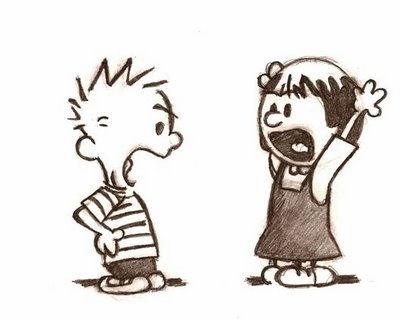 Although I may find doctrinal differences, I don’t always need to vocalize them directly to those I disagree with. I will let you handle it from here on out and just love them where they are at. Even if I believe they need to be corrected. I will just take it to you if I can’t convey my thoughts in your gracious love and without any shred of anger or pride. After all, they are brothers and sisters in Christ. They are sincere believers. I can’t possibly be so arrogant that I get mad when they don’t see things “my” way. You love them right where they are at, just as you love me. And I certainly don’t have it all together! This intense study of James has really revealed many of my shortcomings as a follower and I THANK YOU FOR THAT. Thank you for your loving grace through my growing spiritually!!! I just praise you and love you and adore you and I am so glad I HAVE you in my life. And Father, please reveal to me any changes I need to make in my own beliefs that DON’T line up with your Word. I thank you for the “process” and will walk in your peace and trust you for your wisdom to be planted in my heart and mind before I open my BIG mouth. I pray you understand how awesome I KNOW you are! I couldn’t walk this journey on the earth without you. YOU ARE MY EVERYTHING! P.S. In the name of Jesus, Heal Kevin would ya!!! I am tired of waiting for your glory to overtake his body. He sent us a video from his passed preaching and I almost forgot what he looked like prior to this attack that he is experiencing. I was tempted to cry, but I recalled something pastor told me years ago and I didn’t – “FAITH DOESN’T CRY”. So just do it and don’t keep me waiting, you answer all of my other prayers in such a speedy fashion. So why not this one? Just do it already! We have NO doubt you are able!!!! I sure would like to see at least 20 lbs on him as a hopeful sign that you are working the “process”. However, I do thank you for his steady ability to breath better than the rest of us smokers. We will praise you always – we all have so much to be thankful for. Oh yeah – and after today’s message at church – I am changing my confession regarding my smoking – you are my deliverer! I am human and just need to finish the 4 packs I have. LOL Help me when I get pissy would ya? I am going to create a plan to deal with those feelings and trust you will provide and escape for every temptation! I am tired of just having “vacations” from my cigarette smoking. I need you to deliver me from it. Obviously after all the times I have stopped and started on my own, you KNOW I can’t do it in my own power. I am determined not to be double minded about it and trust what your word says about these matters. I love you! You have told me over and over that I can’t get to your “plan for my life” until I let them go – so I am thanking you in advance for showing up! I am believing for the clear sign you are there to comfort me. And my confession will STAY positive. I love you Kevin (and Margie) Kinchen – you have been such an important part of my life! Ouch, Pastor Kevin. Good preaching.